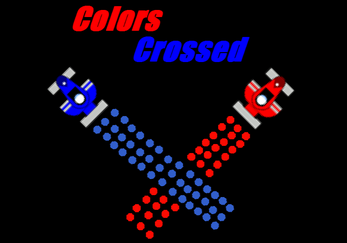 Colors Crossed is a work-in-progress multiplayer racer inspired by Gran Trak 10 and Splatoon. In 2 minutes, try to cover most of the map with your color, erasing your opponent's progress by driving over it. Use power-ups to your advantage.